Nothing like Ruggero in martial mode to get you ready to face the fray! Wow that IS a compliment to my boy. Last edited by mamascarlatti; Jan-03-2013 at 11:00. Never mind Raimondi. The Gardelli recording has Sherrill Milnes! Whaddaya mean never mind Raimondi?!?? Do I ever say never mind Kaufmann!?!? 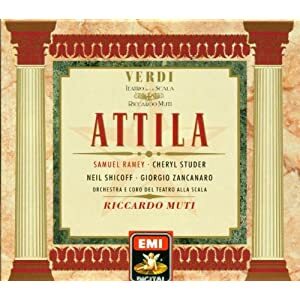 I only knew the thrilling aria Ch'ella mi creda from Act 3 and Franco Corelli's powerfull ironic spinto made me to get the whole, I think it has really something among all Puccini's operas! Last edited by Il_Penseroso; Feb-17-2013 at 07:26. Reason: Puccini with P capital not small !! Shame on me !! 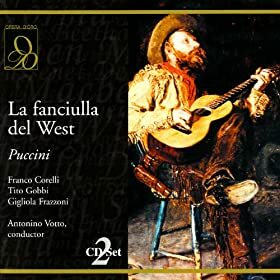 It's my favourite opera of Puccini's. You might like this full length performance from swedish opera house, with lots of references to the silent movie era. I'm hoping it will be released on DVD. Finished two of three discs of Madama Butterfly with Jose Carreras and Mirella Freni. Which version? I LOVE this opera. I can hardly imagine a finer setting forth of Euripides' great tragedy. Euripides was, in my opinion, the finest tragic poet [whose works survive, at least] of Ancient Greece. His works are unbelievably intense, and it suits his temper to have his works modified for opera by hands as skilled as Gluck's. Also, Cherubini's Medea is likewise an admirable example of Euripides' great dramas being given fitting grandeur and treatment. Axiomatic equations, as far as I'm concerned. A friend from work is going to an opera for the very first time & is seeing Madama Butterfly. I've lent her my CD of the Carreras/Freni & she says she's enjoying her 'homework'. And she never realised box sets were so informative. I think I may have a new convert to talk opera with.